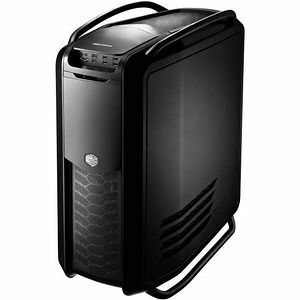 Incomparable in design and specifications, the Cosmos II comes in as one of the first Ultra Tower chassis. Inspired by luxurious supercars, the exterior of the Cosmos II melds aluminum, steel, and mesh into an elegant artistic piece. It maintains its trademark Cosmos profile and outlook with its reinforced aluminum rails while being further refined for today's advancements in air/water cooling, peripheral support, and styling. Large swinging aluminum side panels and sliding doors lend to its stylish and smooth movements to access ports, drives, and system hardware. With the Cosmos II, build as you wish as the options are endless.